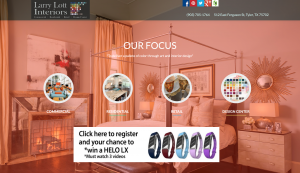 Larry Lott Interiors specializes in commercial and residential design. 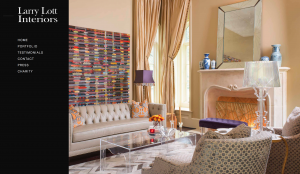 With design projects from a Spa in Beverly Hills to a private residence in Egypt, his one of a kind interior designing has been recognized around the world. 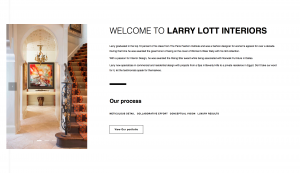 SWBP met Larry Lott at a non profit event where he expressed interest in updating his website to something more representative of his designing skills. 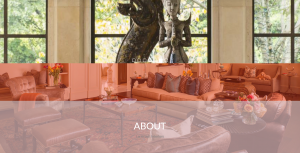 We mutually agreed his old website had too much going on which took away from the elegant photos of his interior work.  With research of great websites in the industry and adding the uniqueness of Larry Lott’s taste, his new website was created with elegant simplicity – focusing on his portfolio and less on extra website gadgets.